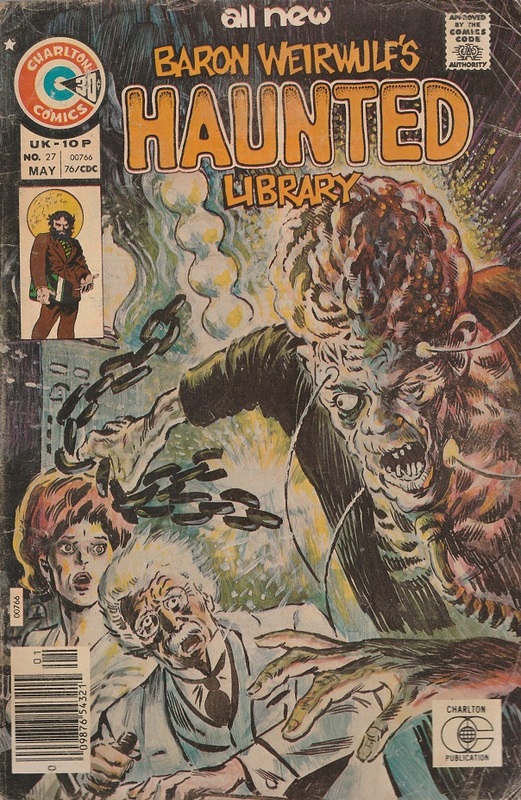 Horror comic covers from Charlton Comics, 1970s. US. 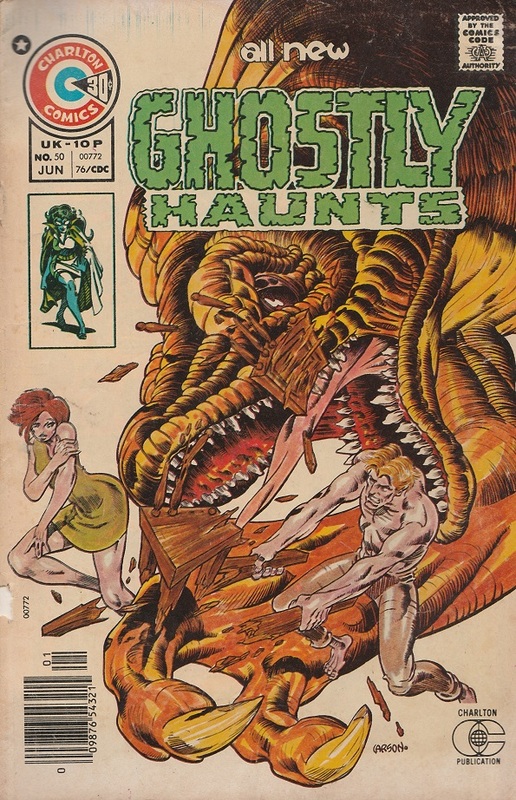 Charlton Comics. Baron Weirwulf’s Haunted Library. 1976. The Halloween weekend is underway – we’ve already had our first trick or treaters at the door today, we have a big bowl of candy on the table, a selection of horror DVDs lined up, and our pumpkin is ready for carving tomorrow. 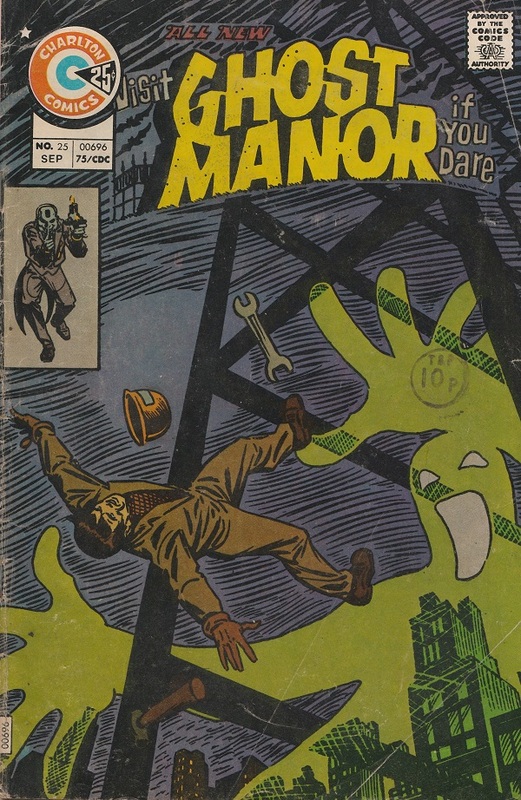 To celebrate the weekend, TVTA presents a selection of cool horror comic covers from Charlton Comics. You can see some previous posts on horror covers and ads here and here More Halloween stuff coming up later. As always, thanks for looking! US. Charlton Comics. Beyond The Grave. 1976. 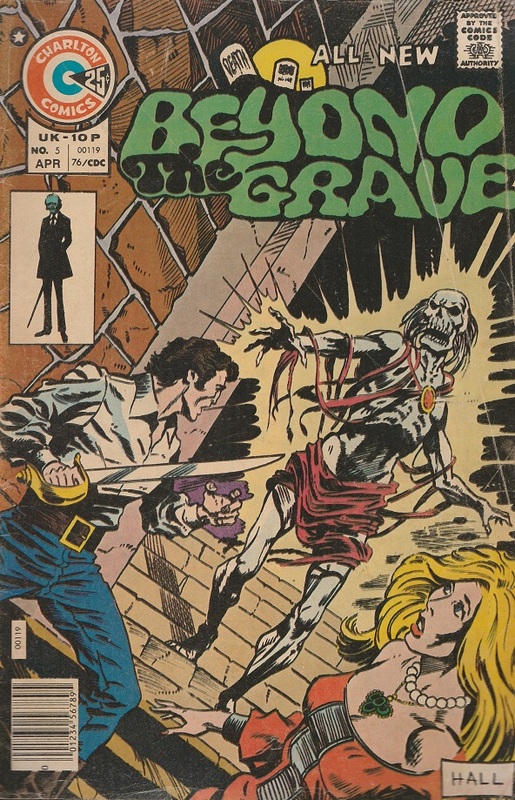 Cover by Bob Hall. US. Charlton Comics. Creepy Things. 1975. US. Charlton Comics. Ghostly Haunts. 1976. US. Charlton Comics. Ghostly Haunts. 1976. Cover by Rich Larson. US. Charlton Comics. The Many Ghosts of Doctor Graves. 1976. 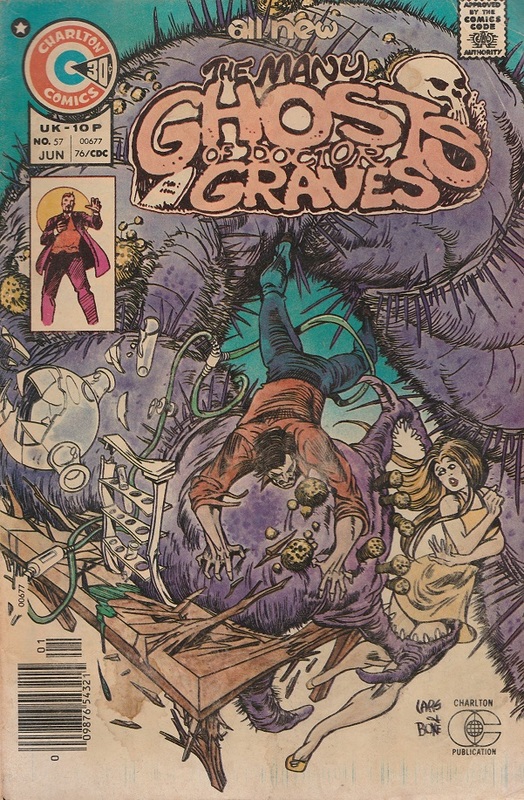 Cover by Rich Larson and Tim Boxell. US. Charlton Comics. Ghost Manor. 1975. 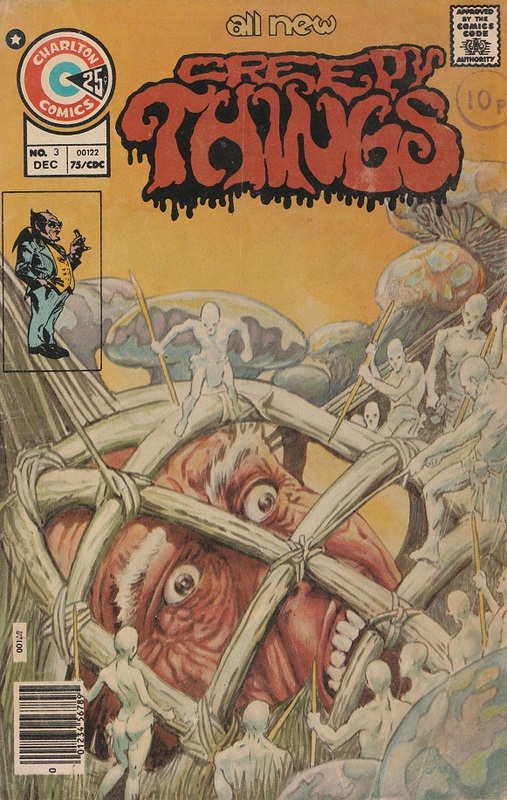 Cover by Steve Ditko. US. Charlton Comics. 1976. 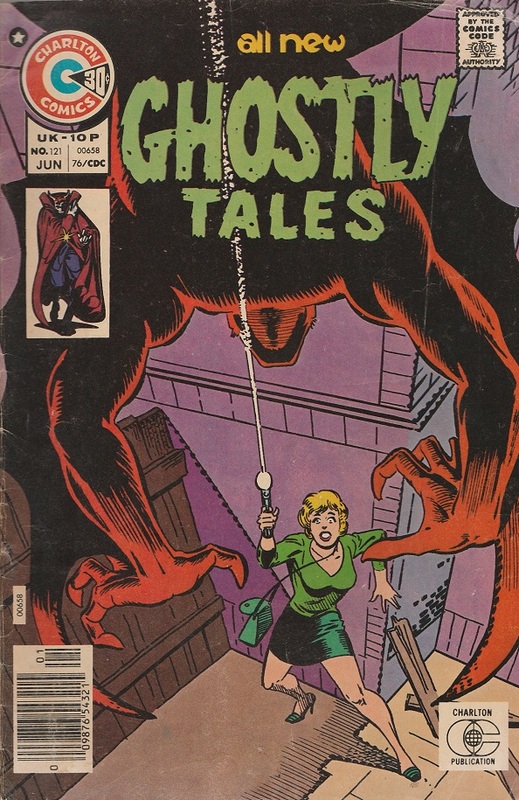 Cover by Steve Ditko. 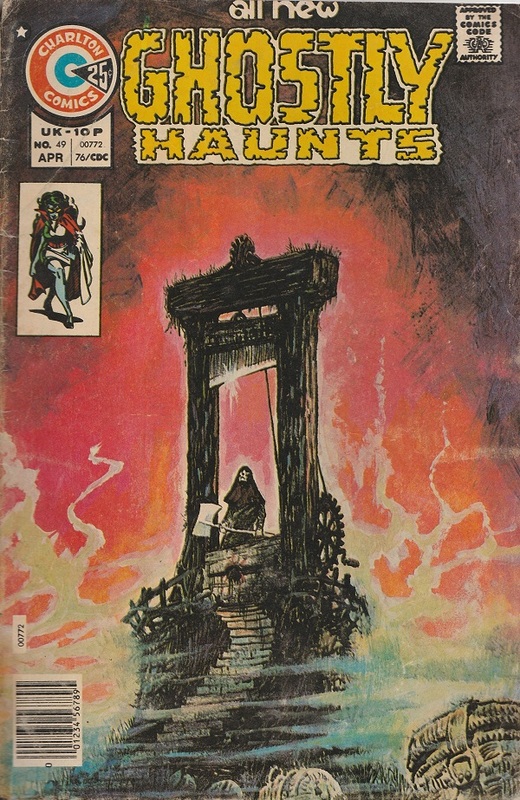 This entry was posted in COMICS, Halloween and tagged 1970s horror comics, Baron Weirwulf's Haunted Library, Beyond the Grave comic, Charlton comics 1970s, Creepy Things comic, Ghost Manor comic, Ghostly Haunts comic, Ghostly Tales comic, The Many Ghosts of Doctor Graves on October 29, 2016 by The Vintage Toy Advertiser.